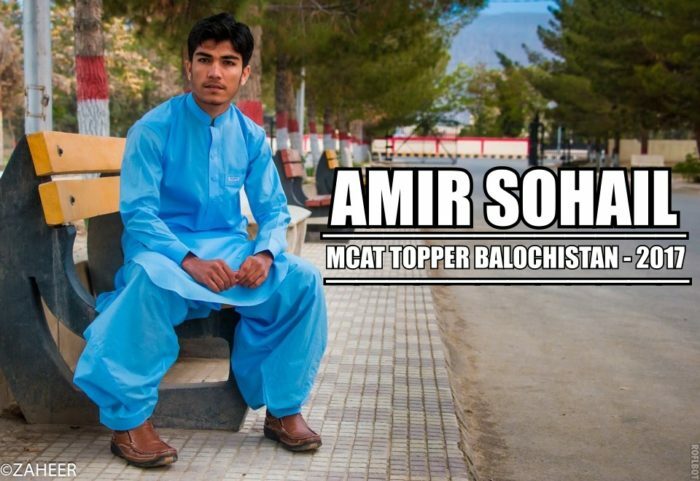 Young Amir also ranked #1 in Federal Medical & Dental College's (FMDC) entrance exam in all Balochistan! Meet Amir Sohail Sumalani of Tehsil Panchpai, District Quetta (Rural), the 18 years old MCAT TOPPER of Balochistan of the year 2017. Amir is a serious looking, ambitious and a guy with off the charts potential! Amir cracked the highly competitive entrance exam of Bolan Medical College in his very first attempt by scoring 1st position in the province. And not only this, young Amir also ranked #1 in Federal Medical & Dental College’s (FMDC) entrance exam in all Balochistan! Q #1. Many congratulations for your great achievement in cracking the Bolan Medical College’s entrance exam! 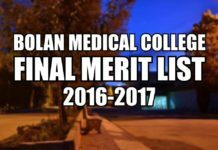 Were you expecting to be the medical college admission test (MCAT) topper in Balochistan? AMIR SOHAIL: Thank you very much for having me. I am honored and humbled. Before this test I was topper in terms of test scores in the entry test of Federal Medical & Dental College (FMDC) throughout Balochistan after which I gained confidence and tried my best in BMC’s test as well and continued directing all my energy to achieve this goal. And by the grace of Almighty Allah, I succeeded here as well. Q #2. What about your family? 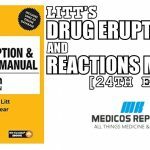 How did they react to your results? ? How did you celebrate your success? AMIR SOHAIL: To say that they were happy, would be an understatement. My parents were overwhelmed with my results and yes I was very excited as well. First of all my family thanked Almighty ALLAH for my achievements. We then invited our relatives and friends to our home and celebrated together. Q #3. Why did you decide to pursue a career in medicine? Who/what inspired you to study medicine? AMIR SOHAIL: Well medicine, no doubt is a very noble profession and in the HOLY QURAN Almighty ALLAH says, “Saving One Life Is As If Saving Whole Of Humanity…”. And from my early days at school I was very fascinated by reading about the human body and it’s different systems and the precision with which they work. Those were the days when I decided of becoming a doctor and pursue a career in medicine. Q #4. Tell us something about your parents and other family members and their influence in your remarkable success? AMIR SOHAIL: My parents always encouraged me and prayed for me. They have made a great contribution in my success. I dedicate this achievement to my parents and my elder brother Jawaid Sumalani for their untiring support and encouragement. Question: None of your parents are doctors. So, what motivated you to choose a career in medicine? AMIR SOHAIL: My elder brother Dr. Jawaid Adnan Sumalani inspired me alot and it was the wish of my father as well. My brother graduated from Bolan Medical College in 2010 and he was the first to become a doctor in our family. He has always been a great source of inspiration for me and with his supervision and my love for science, I choose Pre-Medical when I enrolled at Tameer-i-Nau Public School & College and here I am today. Q #5. What was your preparation strategy for exam? What made the biggest contribution to your success? How many hours did you study each day? 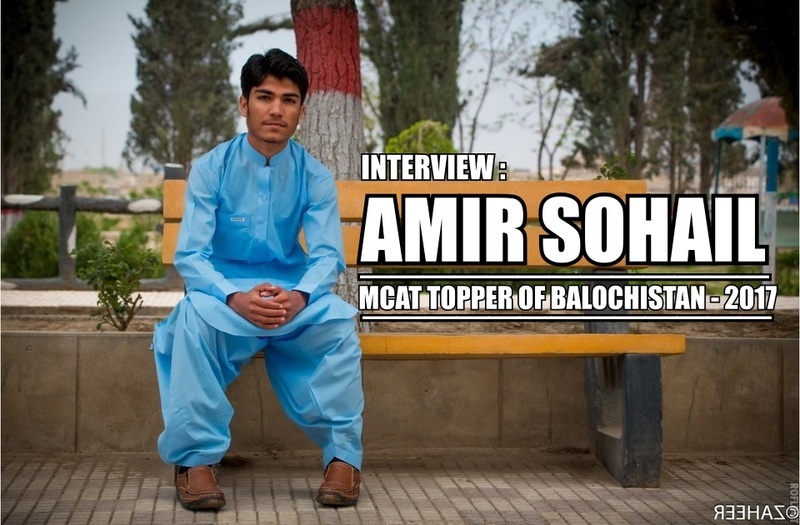 AMIR SOHAIL: I just followed the instructions of my great teacher — Dr. Manoj Kumar of the Doctor’s Academy, Quetta. With his excellent teaching methods and guidance my dream of cracking this highly competitive medical college admission test became possible. Along with three hours of academy classes I dedicated 10 hours of study daily. Q #6. What were your strong and weak areas among Physics, Chemistry and Biology? AMIR SOHAIL: In Physics I practiced numericals a lot because I found them very difficult and at times exhausting but I continued working hard on my weak areas in this subject by memorizing key formulas, learning to relate them in different situations and by strengthening my core concepts — all this lead me to master this subject. In Chemistry, the organic chemistry portion was easy and interesting as compared to inorganic. Biology was interesting specially Zoology portion than Botany . Q #7. Which is your dream medical college where you wish to take admission? Do you have any aspirations for future specialization that you would like to consider after MBBS? AMIR SOHAIL: King Edward Medical College Lahore is my favorite college. I am interested in cardiology for future specialization. PHOTO: King Edward Medical College | MCAT Toppers of Balochistan reserve provincial open-merit seats at KEMU. Q #8. How did you find balance between study and social life and the discipline to stick to your study schedule? How did you keep yourself focused? AMIR SOHAIL: It is very difficult to keep balance between study and social life especially when you are preparing for a competitive exam like MCAT and that too of Balochistan which unlike rest of the country is more difficult. 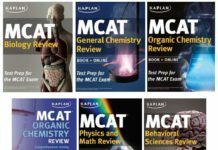 If one is to prepare for MCAT, then he must dedicate most of his time to studies. And in order to prevent study burnouts, time management is key. So the simple rule here to follow is to take a break and refresh when exhausted and then continuing study sessions. One must keep away from modern distractions like social media, they ruin the precious time of students without them even realizing it. I indulged playing cricket and spending time with my family and friends for refreshment purpose. And yes, frequent outings as well. Q #9. How many questions did you attempt? And how many you got right? AMIR SOHAIL:I attempted 96 questions and 90 of them were right. Q #10. What was your test day strategy? Any plans you’d kept in mind? AMIR SOHAIL: There was no special strategy. I just kept myself cool and calm. If someone is underpressure then he will face difficulties in attempting the questions. My plan was that if the test is easy then I have to attempt more questions but with accuracy. Q #11. What are your hobbies? Tell us something about the activities you indulged to keep yourself refreshed during MCAT preparation? AMIR SOHAIL: Playing cricket and spending time with my family and friends. Q #12. Did you attend any academy coaching classes? 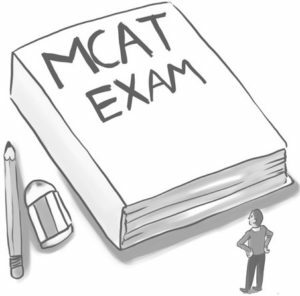 Do you think coaching is necessary for cracking medical college entrance exam? AMIR SOHAIL: Yes, I attended academy coaching classes at Doctor’s Academy, Quetta. 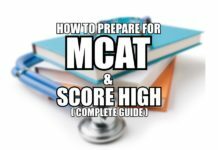 I believe it is very important to attend coaching classes because you need to learn proper guidelines and study techniques for succeeding in MCAT — which is way different than FS.c/Intermediate. 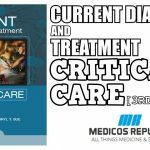 You have to practice more and more MCQs on regular basis and have a good command on your course books as well. 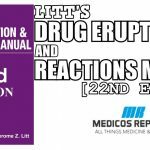 A combination of these two are vital for success in MCAT. Q #13. Where do you see yourself in next 10 years down the line in your medical career? AMIR SOHAIL: I will try my best in my profession AND leave the rest on ALLAH — no doubt He is the best Planner of all! Q #14. What is your message to all future MBBS aspirants? Any suggestions you’d like to give. 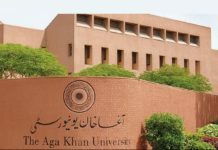 AMIR SOHAIL: My message to students is that they must give their 100% in academics especially if they’re serious about getting into a medical college. Try to fulfill the hopes of their parents and if you do not succeeded then try again and NEVER GIVE UP ON YOUR DREAMS! Insha’Allah you will be rewarded for your hardwork one day! Q #15. What’s your favorite sport, movie and actor name? ANSWER: I am an avid cricket player, an all-rounder. PK is my favorite movie . I am fan of Amir Khan — the Perfectionist.